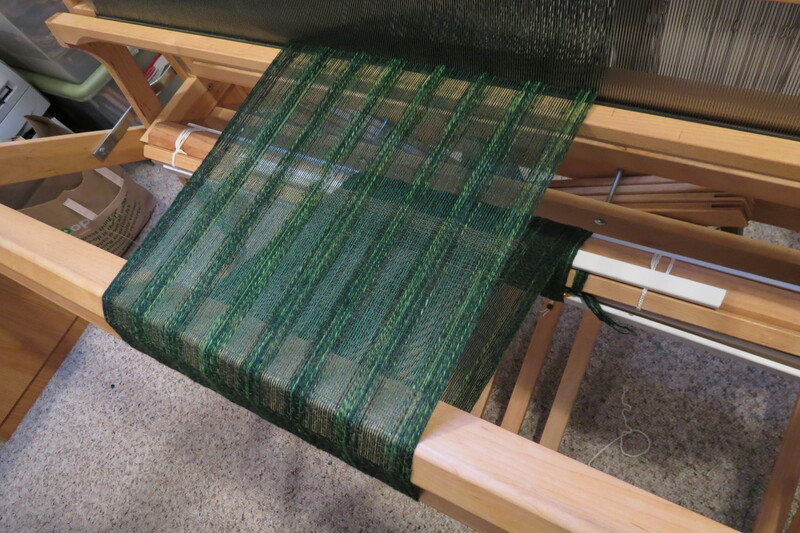 Handspun silk waiting to be woven into a scarf. Spinning by hand is a metaphor for life. Every spun thread begins with an umbilicus in the form of the leader that attaches it to the bobbin or the spindle; then you feed it and it grows. At the end when it runs out of fresh fiber it simply peters out and stops. 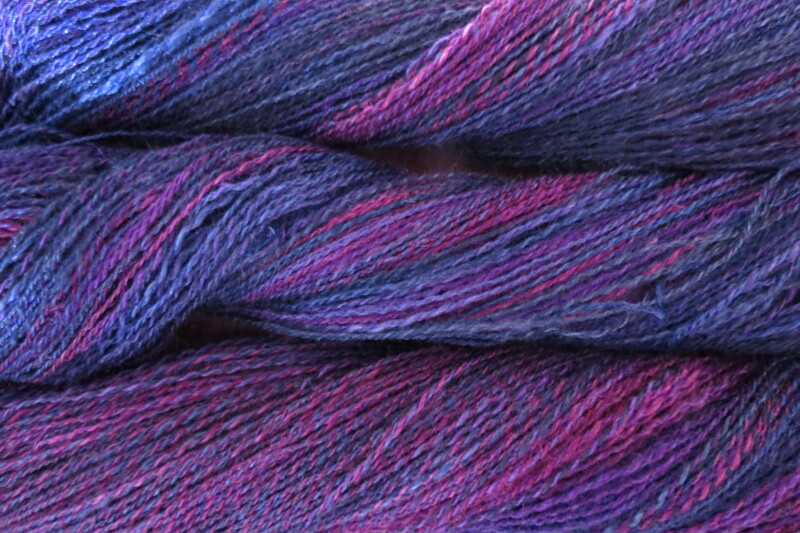 Like life, handmade yarn is what you make it: smooth and silky, or rough and lumpy. As with daily life, spinning is not particularly hard to do, but it’s a challenge to do it well. The metaphor of thread as life has occurred to many people over time. 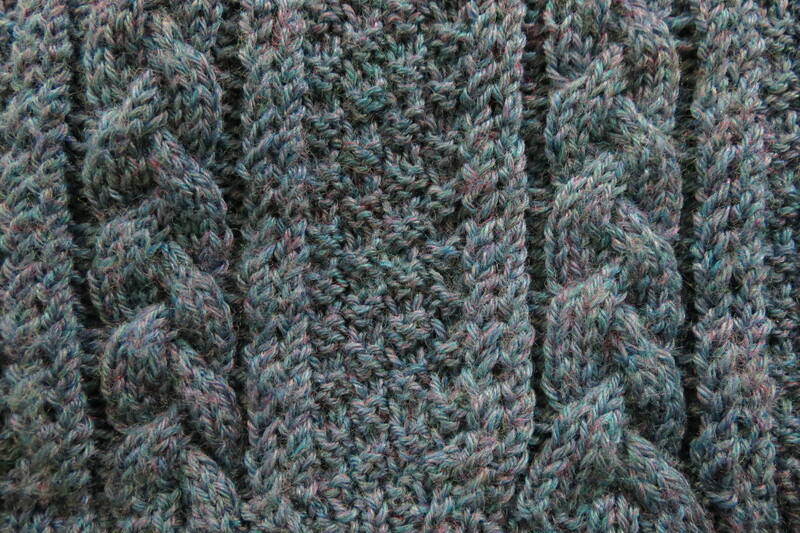 The mythology of the ancient peoples of Europe featured three women who measured out the length of human lives using yarn. One was always a maiden, one was a matron, and one was a crone, representing the stages of life. 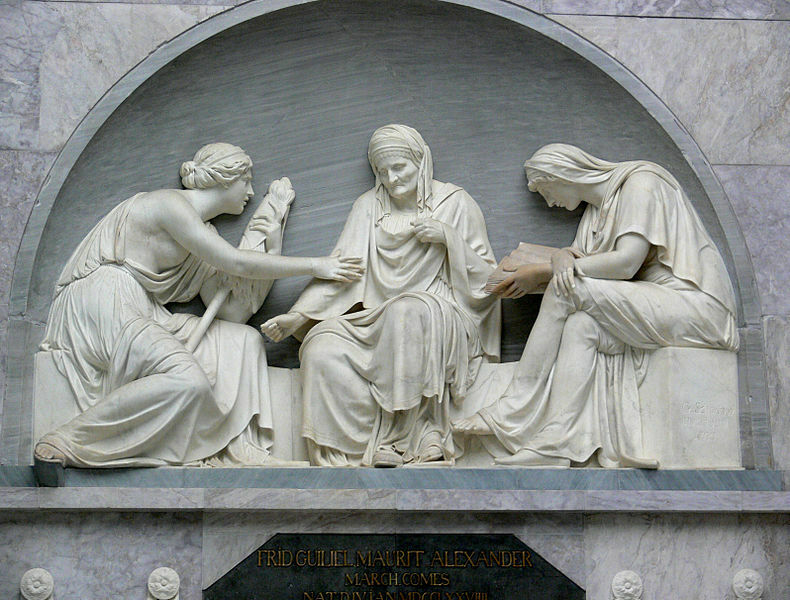 In Northern European legends they were called Norns, while in Greece they were the Fates, the Moirai; but they are in essence the same entities. Notice how spinning (like giving birth) is associated with women. Strikingly, the growing cop of thread wrapped around the middle of a spindle swells like a pregnant belly. I have been spinning for 25 years but only recently have I begun paying attention to improving my basic skills. 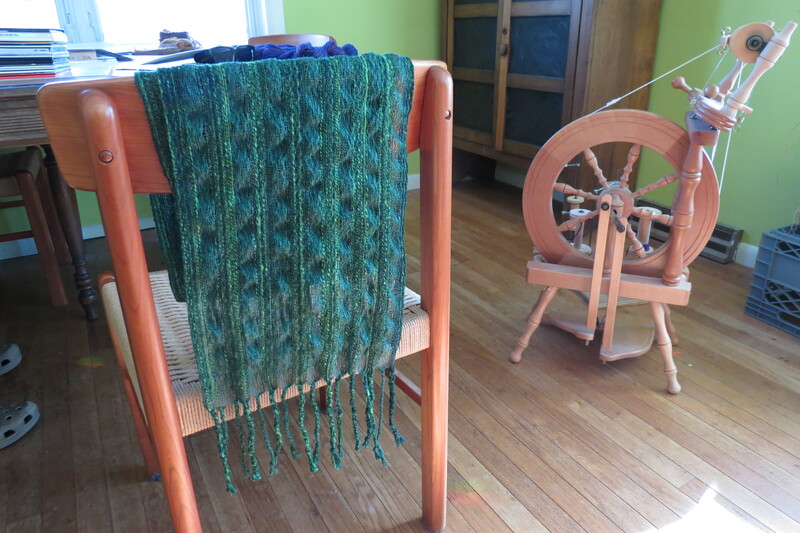 I have come to the odd decision that to simply spin yarn that’s generically “good-enough” is no longer sufficient, because the ancient practice of spinning (which undoubtedly extends back to the Neolithic) deserves my very best efforts. As a woman, as one who has given birth, as one who thrills to the feel of new thread passing between my fingers, I want that thread to be worthy of the countless generations of women who have preceded me in this practice. Spinning was once a life-skill, a knowledge that bettered one’s experience of living since it meant that a woman had the power to clothe and protect others. I honor that tradition. And I know that each day when I sit down to spin, an invisible thread connects me to the many other women who have done this same thing before me. Some day this thread will come to an end in me, but other spinners will take it up and continue it. And that’s a beautiful thing. You have a beautiful way of putting things. Very vivid and pleasantly deep. You make me want to learn to spin. Thank you, Katie, for reading and commenting! I encourage everyone who is interested to learn to spin. It’s not rocket science! The technology is probably about ten thousand years old and its elements are quite simple. (Of course, learning to do it well requires practice, like everything else). People who live in communities without fiber-art instructors can always watch the countless instructional YouTube videos designed for newbies.